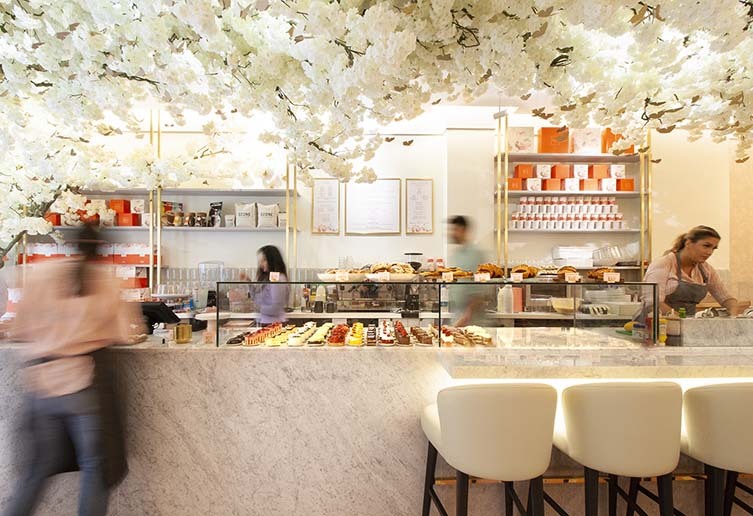 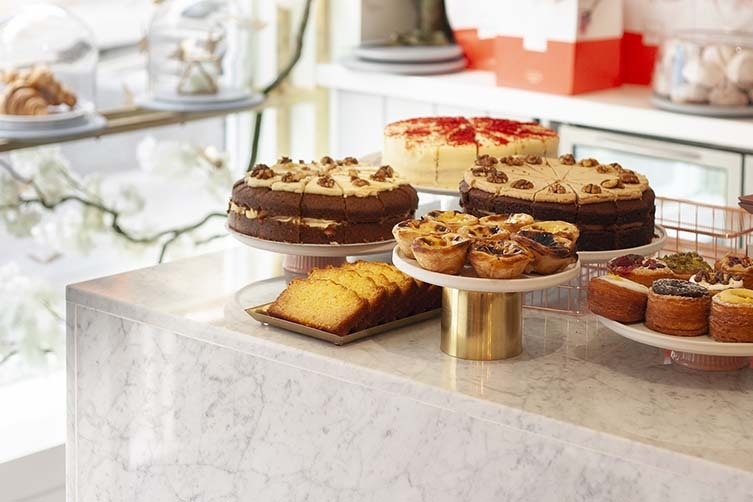 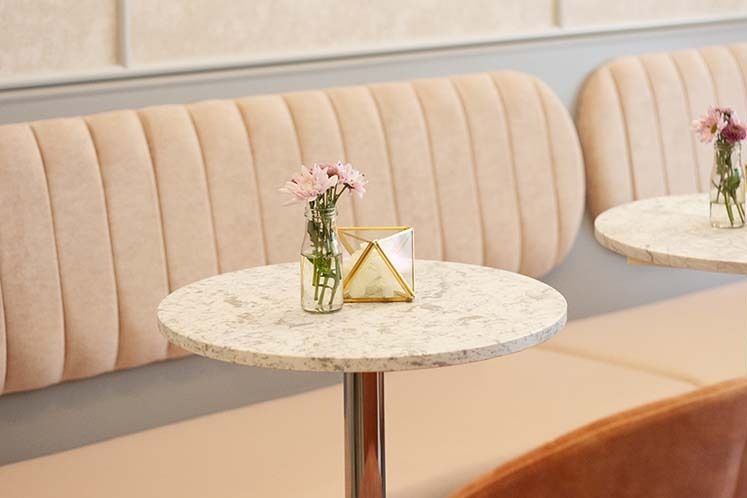 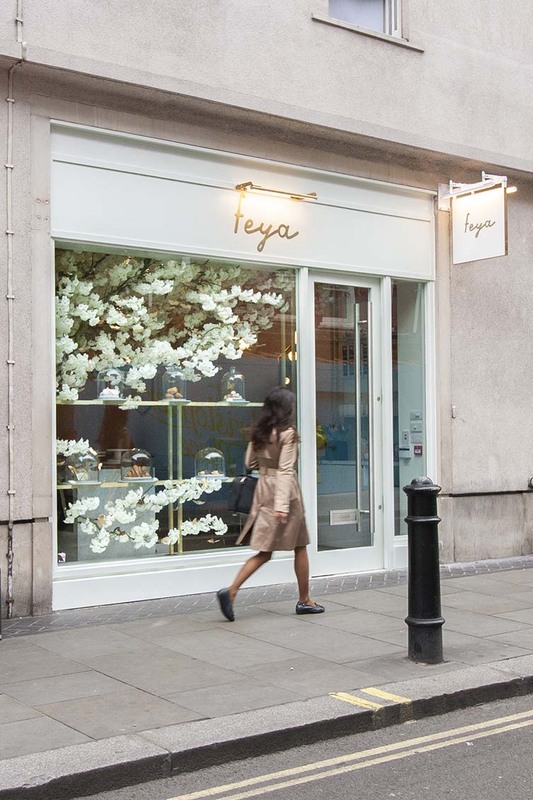 With interiors as alluring as its sweet treats, Feya, in London’s West End, is a contemporary café and the passion project of chef Zahra Khan, graduate of Gordon Ramsay’s Tante Marie Culinary Academy. 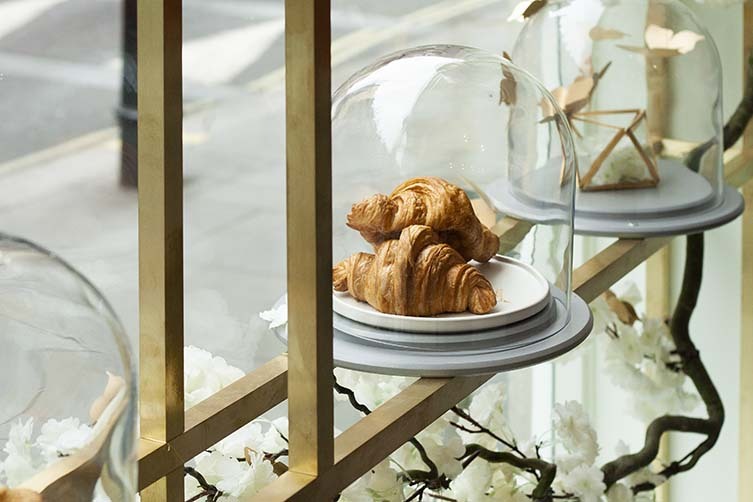 Counting Selfridges and St Christopher’s Place as esteemed neighbours, quality is of the essence here—edible flowers playing a huge role in the food offerings, with editor and producer-turned-blogger Virpi Mikkonen having curated a breakfast menu consisting of rainbow smoothie bowls topped with mango flowers; pink oats with rose petals and banana flowers; and pancakes made using whipped cream flowers, keeping hunger at bay for its well-heeled locals. 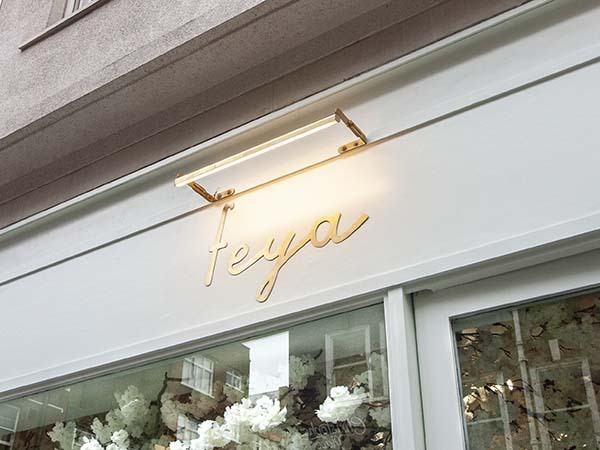 London-based interior designers and architects, Shed, summoned all the originality and innovation they’re known for when designing the interiors at Feya. 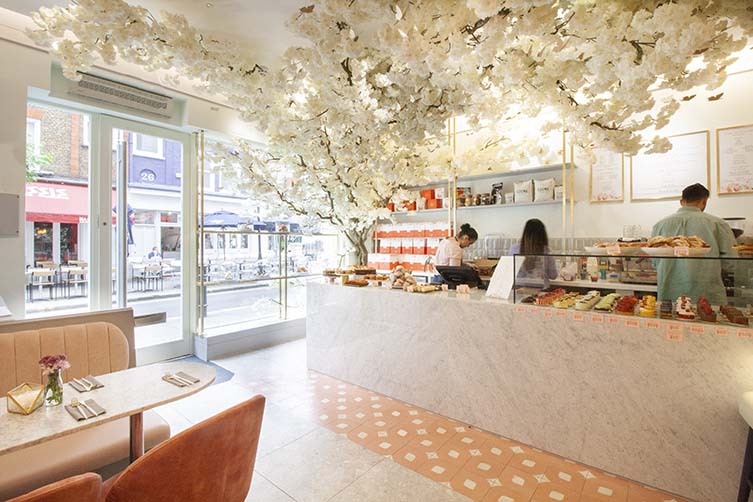 Carrara marble, brass, encaustic tiles, artificial flowers, and a pastel colour palette nods to the pleasing aesthetics of the floral food; whilst a huge ceiling installation of flowers and butterflies branches out over the counter space from a large blossom tree—diners at this lush Marylebone café transported to a magical (and exceedingly Instagrammable) wonderland in the heart of frenetic London. 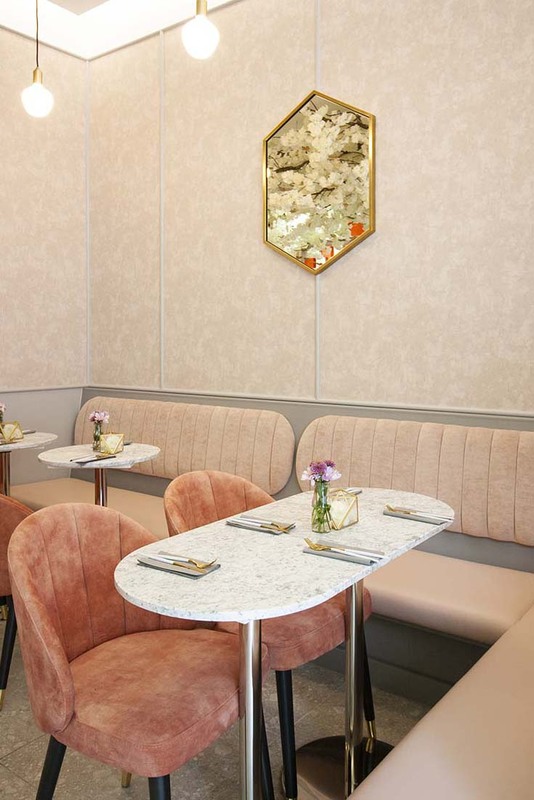 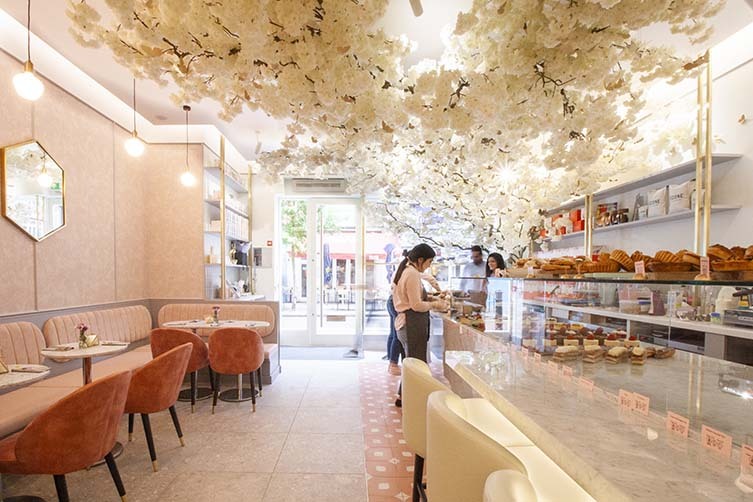 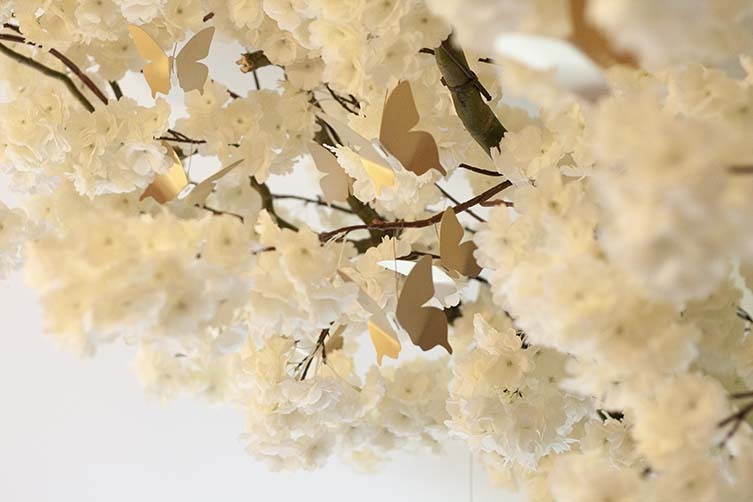 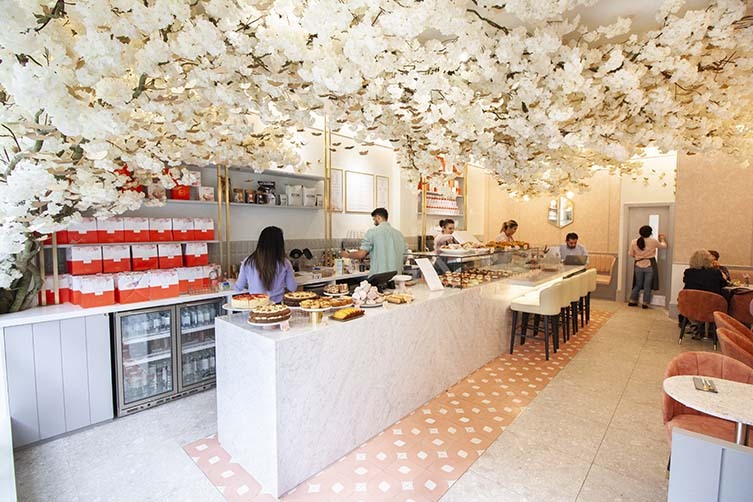 Stunningly beautiful as it engages with the global trend for fanciful flora in foodie spaces and picture perfect brunches, London’s Freya is a café in blossom, and can expect to accompany as many hashtags as it will have happy customers.